Residents may soon have to pay a fee for making queries about planning applications. Hastings Borough Council’s cabinet committee met yesterday evening (Monday, September 5) to discuss the proposal, along with other proposed changes to the authority’s planning department. No charges have been set but a system is expected to be put in place at a later date. Councillors on the authority’s cabinet committee agreed unanimously in principle to charging the public for making planning queries. A report by Andrew Palmer, the council’s assistant director of housing and built environment, outlining the plans was presented at the meeting. “Between April 1 last year and March 31 this year, there were 1,295 queries. Councillors also approved of proposed recommendations to improve the council’s website, including updating and enhancing planning information, as well as employing two new members of staff. Neighbouring Rother charges residents £54 for general enquiries on planning. 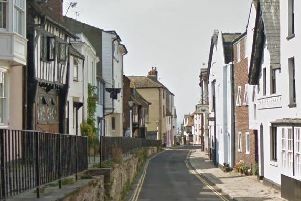 Other authorities that also charge include Tunbridge Wells Borough Council where the fee is £60 and Wealden District Council, which charges £220 for listed building queries.